The change of the seasons affects us in mood, health and vitality. 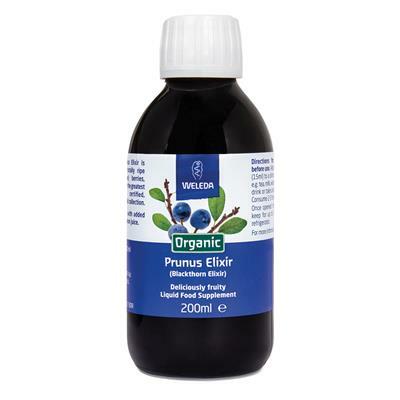 Weleda’s organic juices and elixirs give your whole system a natural boost as the year turns. We are never so far removed from nature that we don’t respond to the change of season. With the rising of sap, the spring greening of the trees and the opening of blossom we feel a surge of energy, an urge to renew and revive. And as the autumn leaves fall, fruits ripen and animals hurry to make ready for winter, we feel a similar closing in, slowing down and desire to comfort, cosset and warm our lives. Our bodies are instinctively responding to changes in the light, and our thoughts often turn to health, as well as to spring-cleaning or filling up the freezer. It’s a time to listen to your body, when a detox or a vitality-boost are exactly what’s needed to carry us through the next months. 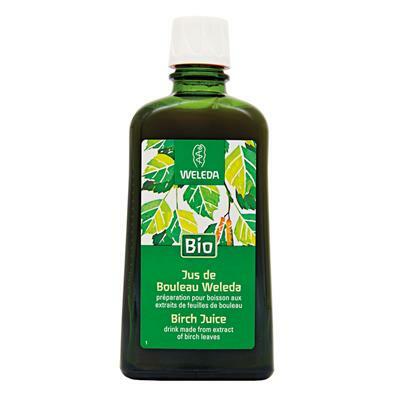 For those of us who genuinely care about long-term health, looking for something which is organic, vegetarian or vegan leads us naturally to the juices and elixirs produced by Weleda. With ingredients that are organically or biodynamically grown, or from certified, controlled wild collection, they’re free from synthetic additives of any kind. The precious extracts in our range come from native trees and shrubs – Silver Birch, Blackthorn (sloe) and Sea Buckthorn. Silver Birch Juice makes an ideal spring and autumn detox supplement, with extracts from young birch leaves helping to eliminate waste toxins. The juice is extracted from the leaves with a little added lemon juice, and a sharp, refreshing flavour – taken either with water or tea 2-3 times a day, or added to yoghurt. You can also mix some into a litre bottle of water to sip through the day. Our Blackthorn Elixir takes hedgerow sloes, harvested under carefully controlled and certified conditions, and mixes them with organic raw cane sugar, lemon juice and honey to create an invigorating, fortifying elixir. 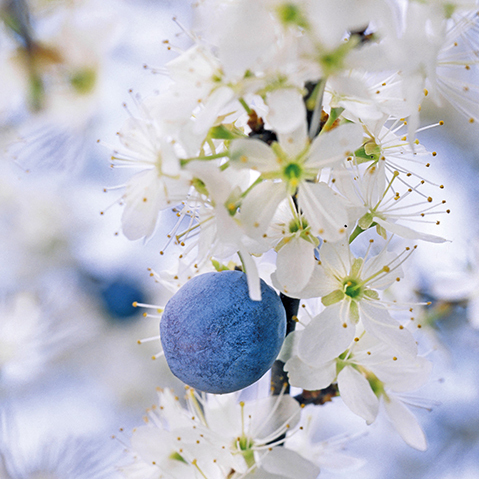 Blackthorn comes into its own as a supplement during demanding times such as growth phases, through pregnancy and breastfeeding, or for intensive periods at school or work. Sea Buckthorn berries thrive in exposed coastal conditions and are packed with antioxidant vitamins. Our Sea Buckthorn Elixir once again adds just organic sugar and honey to pack the punch of vitamins A, C and E into an immunity-boosting supplement. 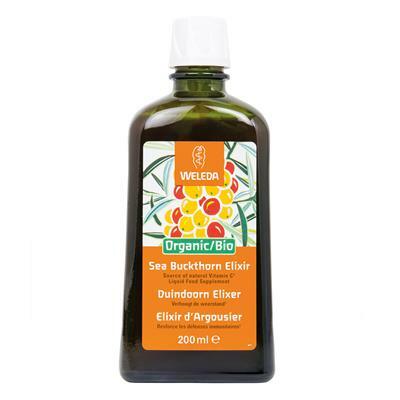 Sea Buckthorn Elixir is a good complement to Birch Juice, a combination that bolsters the system when life is at its most demanding – especially for school children, athletes, smokers and convalescents. So when you feel the seasons turn, and your body says it needs a little more support, pick an elixir from Weleda and let nature do your body good.